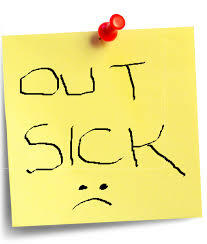 Nearly a year ago, we began discussing the growing movement from the local to the national level to require employers to provide employees with paid sick leave. Just last week, St. Paul became the latest city to pass an ordinance that guarantees paid sick leave for covered employees who work 80 hours or more in the city per year. The ordinance will become effective July 1, 2017 for employers with 24 or more employees. The effective date is January 1, 2018 for employers with 23 or fewer employees. The ordinance requires all employers to provide paid sick leave to employees who work at least 80 hours per year in St Paul. Covered employees (part-time, full-time, and temporary) will accrue 1 hour of sick time for every 30 hours worked, up to a maximum of 48 hours per year. Employees earn and accrue time as soon as their employment starts, and may start using sick time after their first 90 days of employment. Time off is allowed under the ordinance for an employee’s routine medical care, illness, or injury; to care for sick or injured family members; for absences due to domestic abuse, sexual assault, or stalking of the employee or family member; or to care for children whose schools or child care centers are unexpectedly closed. The ordinance comes just months after twin city Minneapolis passed a similar ordinance in May 2016. While the mandated paid sick leave is the same under both cities’ ordinances, St. Paul’s ordinance, unlike Minneapolis, applies to all employers, regardless of size. And both ordinances apply to covered employees, regardless of their regular work site, who work within the respective city's jurisdiction, making it necessary for employers to stay alert as to whether additional cities will enact similar paid leave requirements.